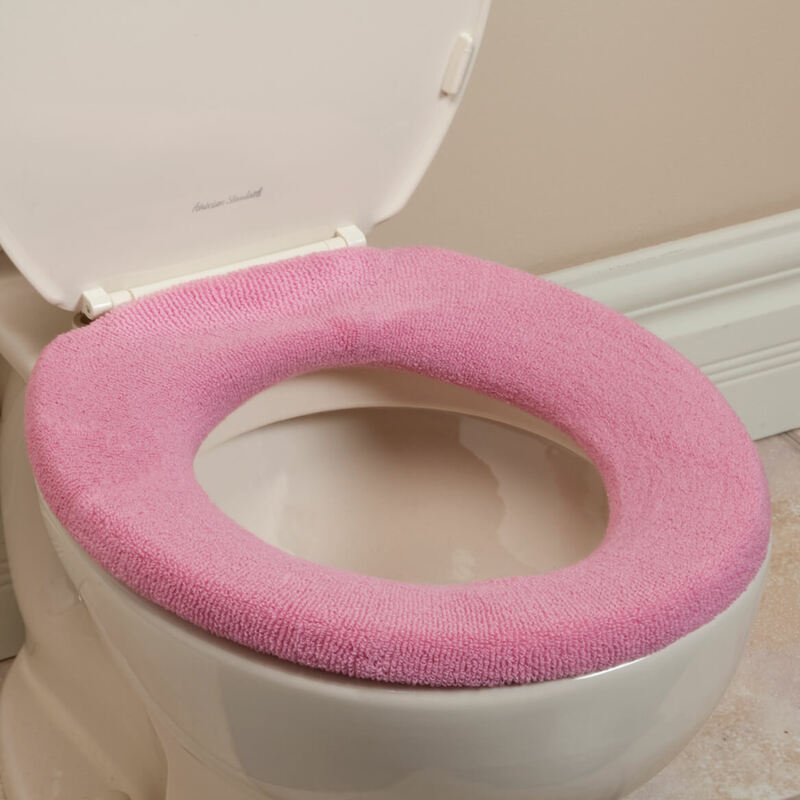 It will be nice not to have to sit on a cold toilet seat and it goes with my bathroom colors. Have used these before. Like them. 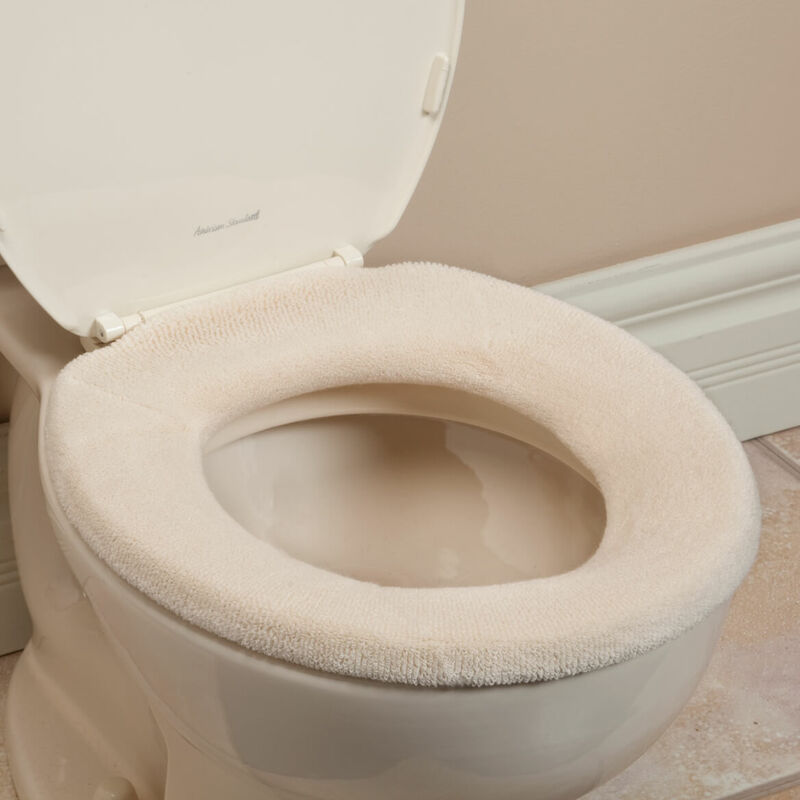 Toilet seats are cold in the winter! My mom's bathroom is usually cold, so she needs to feel more comfortable by sitting on a warm surface. I have used these for several years now and I love them. I've used these for years and prefer the warm, soft seat to the hard, cold seat. They stay on good and look good. I ALREADY HAVE 2 OF THEM AND I'VE BEEN LOOKING FOR THEM FOR A WHILE. I LOVE THEM. My Sister has bought from them before and liked their products. I have these on my toilets now. They are awesome! Very comfortable, easy to put on and take off. The plastic insert takes time to put in and take out but it's worth the comfort! I like a cushy seat. My mom enjoys a warm seat! I have used this and they wera out quickly so I needed more. 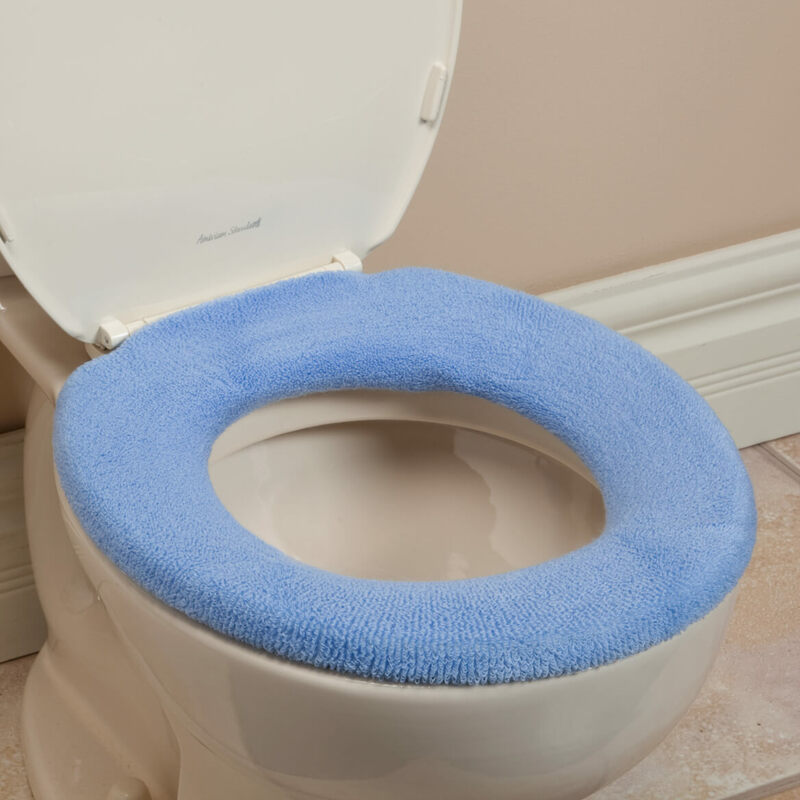 To make my toilet seat warm, especially in the middle of the night. 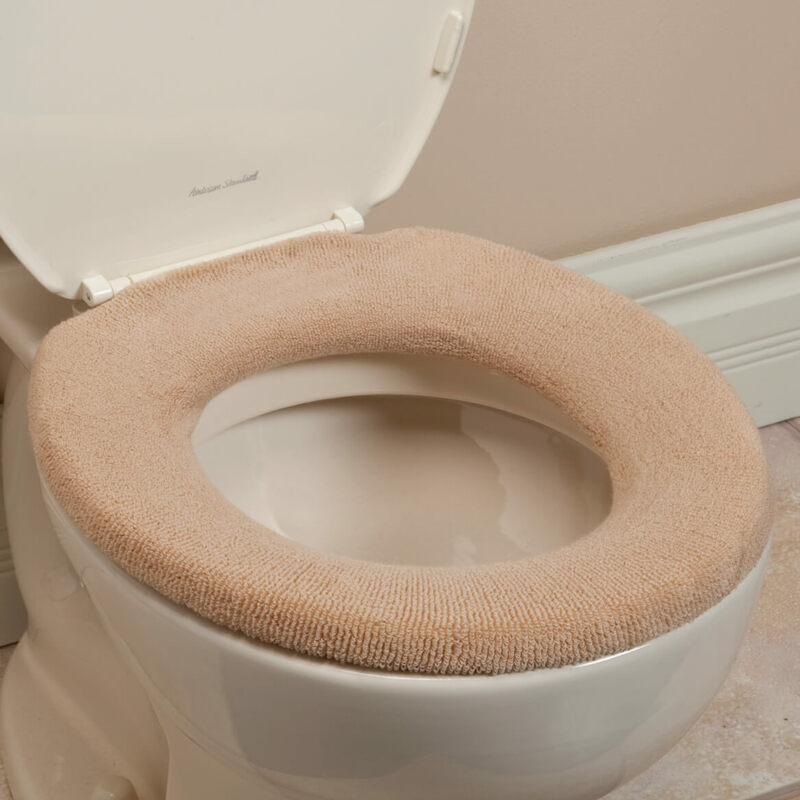 "keeps from being cold on your body"
MY TOILET SEAT IS ALWAYS COLD AM HOPING THIS ITEM HELPS! Love these covers, especially in the cold months! I've always had these seat covers in the winter, makes getting up during the night bearable. So nice to sit on in the winter months!! I have used these covers for years and love them. They are wonderful especially in the colder months. A reorder of items I've bought before that were satisfactory. 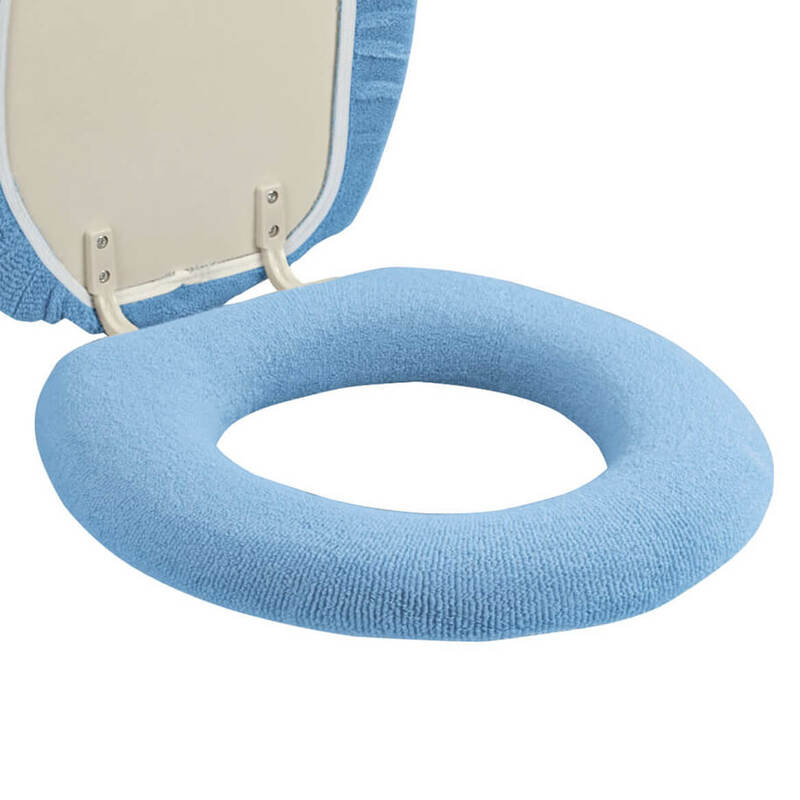 I've been using these for some time now and can't go back to a cold, hard toilet seat - too spoiled by the warm, soft & comfortable feel that these covers provide! My current toilet seat is a bit worn. Local stores did not have a beige wood option for what I could afford, so next option is a cover. Found your site & Hopefully this one is as Great option. I have this brand before and it is the best product I ever bought. The material is the best I have found and they last quite while. Because my mother cannot tolerate a cold potty seat. Love these all year round...on sale too!!! I appreciate these covers because the avoid the cold shock! for comfort and warmth. Love these covers and wash often. Because I can't find them in the store's anymore, and I have ordered from Walter Drake years ago. now I moved to Texas, still can't find it in any stores. Like them, have ordered before. I provide childcare and this helps warm those little butts!! Which cover fits "closed" elongated toilet seat? BEST ANSWER: Thank you for your question. This item will work with a "closed" elongated toilet seat. We hope this information will be of help to you. Is this seat cover machine washable? BEST ANSWER: Yes it is machine washable and dryable. I ac6tually bought two so I could put one on while the other was washing. It's so nice not to sit on an icy seat. I wash these in the washer on a gentle cycle and then hang to dry. They will last longer if you do. Yes of course it is washable, holds the shape well and I toss it in with a load a towels each week. Yes, just remove the plastic ring first. Yes, it is washable and it is easy to put on & take off the seat. Please show me how to install. Don't know what I am doing as I can't get it on toilet seat? BEST ANSWER: You thread the ring through the opening underneath at the little opening. 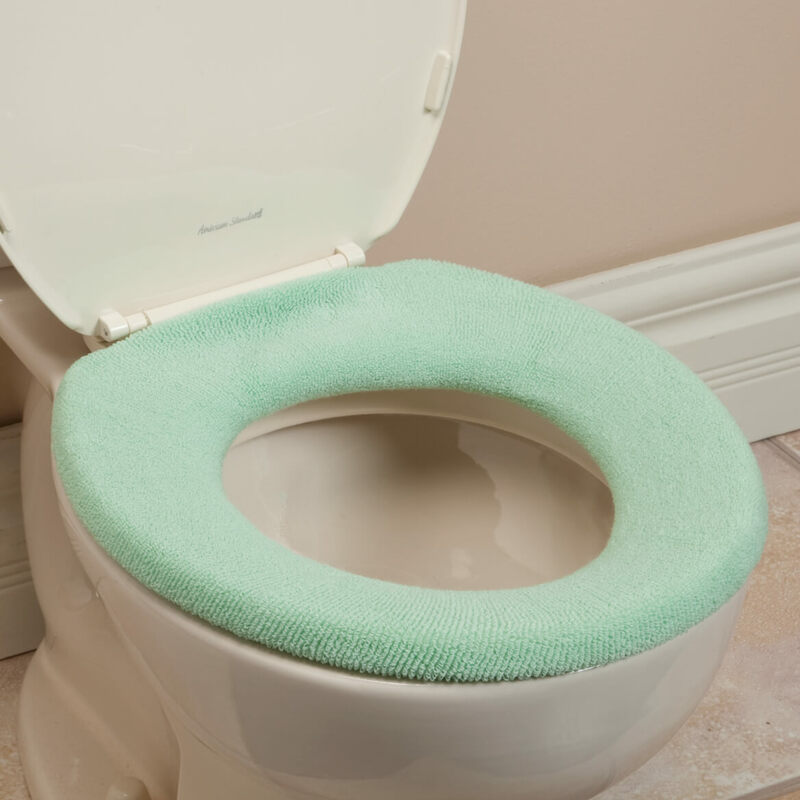 Lift the toilet seat, put the cover under toilet seat, with ring under the seat flip the cover over the top of the seat, working it around your toilet seat. It will be snug. Once you get the hang of it, you will love it. I use mine all year round.... make sure you wash it as often as you need to. I have several..... Love ,Love, Love these covers. Thank you for your question. 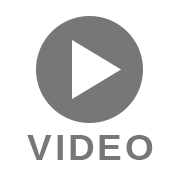 Please click on the product video tab, the video that is shown there, will assist you during the installation process. We hope this information will be of help to you. 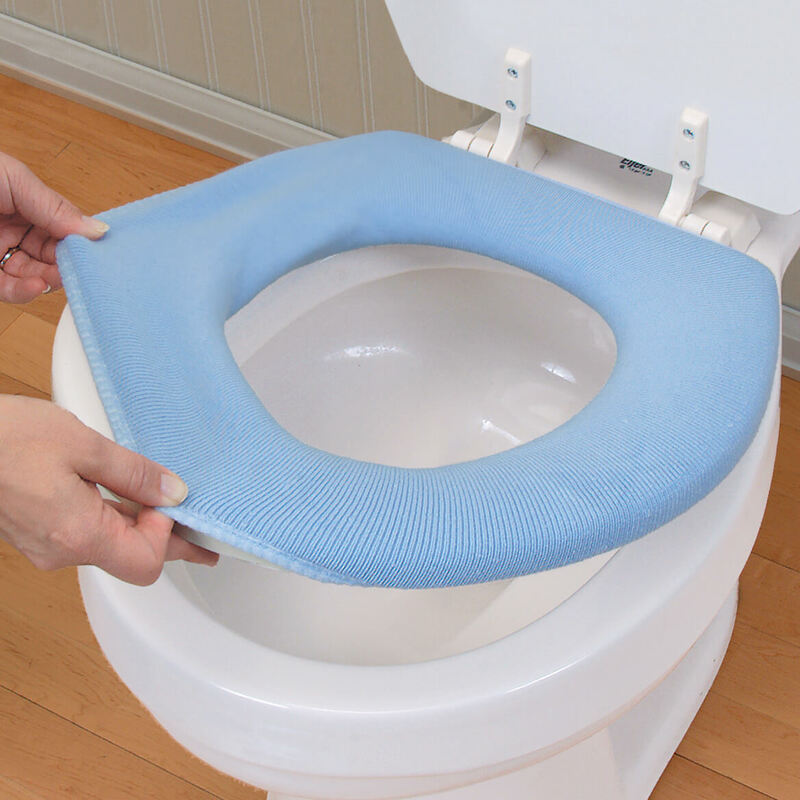 After plastic rim is installed, lift toilet seat and put on hand underneath with cover upside down then fan out cover under rim going around slowly and being careful not to drop cover in bowl. That should do it. Have 171/2 x 15 elongated toilet seats. Will #30357 fit them? BEST ANSWER: Thank you for your question. Yes, this item will fit all standard round and/or elongated toilet seats. We hope this information will be of help to you. BEST ANSWER: Thank you for your question. Unfortunately we are unable to share manufacturer information. We hope this information will be of help to you.